The author of this publication is the Barnabite priest, Fr. Giovanni Rizzi. Fr. Giovanni Rizzi is a professor of Sacred Scripture (Old Testament) at the Theology and Missiology Department of the Urbanian Pontifical University in Rome, a prestigious learning institution ran by the Congregation of "de Propaganda Fide," with 1,400 students coming from the different parts of the world, and oriented towards mission. 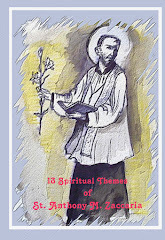 The text here presented is the fruit of a series of conferences given to the Clerics Regular of St. Paul (Barnabite Fathers) in September 2008 in Lewiston, New York (USA), on the occasion of the Pauline Year, as they celebrate their great patron saint, St. Paul the Apostle, after whose name they are named. In reality this study does not have any celebrative character, but it is a profound rereading of the Apostle's figure as written in the canonical Christian literature, with an alert attention to the modern exegetical developments. Let us say right away that this is a truly original research, very technical in its language, scientifically drafted with painstaking accuracy, very rich with bibliographical documentation, up-to-date with the latest professional studies, and therefore is not an easy reading for anyone who does not have a specific preparation in biblical studies. 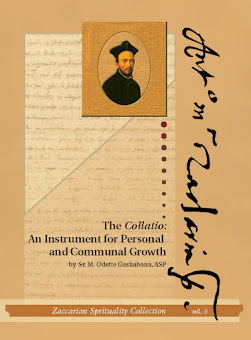 After a comprehensive look at the present bibliography on St. Paul, including a revisit to his letters and his missionary journeys, the author dwells on the description of Paul in the "corpus paulinum" with particular attention to the writer, the literary genre of the correspondence, the problem of the authenticity of the individual letters and their style, the rhetoric figure used, as well as the analysis of the content. The epicentre of the Pauline thought is the discovery of the figure of Jesus Christ, which, solicited by varied experiences of evangelization and the handling of the Christian communities, includes the themes of the "justification by faith, the mystical union with Christ, the theology of the cross, the apocalyptic dimension of God's revelation in Christ." Of true interest is the analysis of the term "Gospel" in St. Paul, studied in the Judaic tradition and the Hellenistic world, while it appears about sixty times in the "corpus paulinum," without any specification: the Apostle transmitted it the way he received it. In the Acts of the Apostles the function of Paul's figure is explained through the specification of the literary genre of the work, starting from the well-established hermeneutics to reach a consonance with history, written in complex parts. Fr. Rizzi takes the scheme drafted by the modern exegetes of the Acts of the Apostles as the theology of the witness to Jesus Christ, from Jerusalem to the ends of the world. 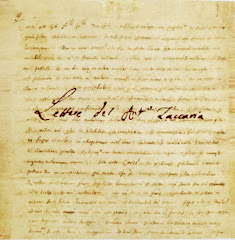 With the same richness of documentation, the anti-Pauline polemics are recalled and described among the Tannaitic masters and traditions; for example, the different concepts of faith, the Pauline antinomies, the biblical anthropology of Judaism, the election of Israel, the Messianism, the eschatology, the redemption and Christology, and the Divine Names. These questions are well known among biblical scholars and critics, who deal with neo-testament and pre-testament Rabbinic literature and the beth midrash. These problems are certainly complicated and less appreciated by the secular and by those who are not adept to this kind of work. 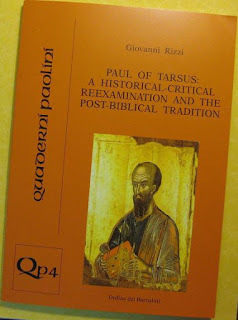 We, at the most, record an extraordinary and complete rereading of Paul in the Christian apocryphal literature with more than 150 bibliographical notes and numerous references to the fundamental studies done by Mario Erbetta and Luigi Moraldi. There is a review of the ancient catalogues of Christian apocrypha, the traditions about Paul of the second and third centuries, and even of the fourth and fifth centuries (the correspondence between Seneca and Paul would have been a Christian legend on Seneca’s Christianity). The dissertation concludes with a general proposal about the figure and the events of Paul in the apocryphal world. The Apocrypha are not canonical books, or are they heretical, but they have contributed in celebrating Paul’s memory through the centuries. At the end of this course Paul's figure appears in its greatness and novelty, thanks to a severe hermeneutic approach, with the discussion and in-depth literary study of the texts and the accurate exegetic method. In conclusion, I take the liberty of expressing one desire, that the eminent author may also take into consideration, at his level, the spiritual and pastoral context under the guidance of Paul. Nevertheless, I thank him for having accompanied us and enlightened us in this journey.